Unique design allows cover to open flat for easier reading and page turning. Translucent view window on front cover holds a customized title page. 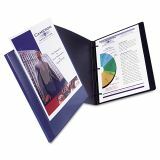 Three sturdy plastic loops hold up to 50 sheets of paper and thread through the punched holes in your pages to secure your report inside the cover. 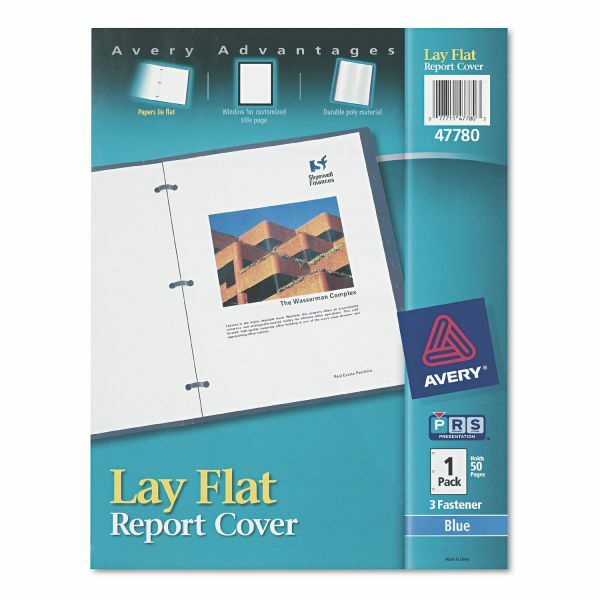 Avery Lay Flat View Report Cover w/Flexible Fastener, Letter, 1/2" Cap, Clear/Blue - Report cover features a unique design that allows pages to lie flat when open for easier reading. Papers slide over three sturdy plastic prongs. 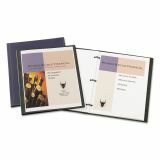 Front cover has a clear overlay so you can add a customized title page. 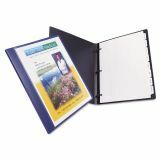 Durable, nonstick, polypropylene material won't transfer print. 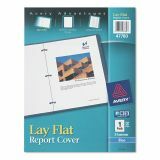 Report cover holds up to 50 letter-size sheets.